Hit Me! 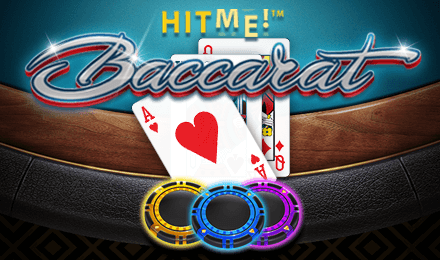 Baccarat is a new casino classic with a twist, designed by Eyecon! Since the evolution of online casinos, different sequels of this casino classic have been launched, but this is Vegas Spins Casino’s new favourite! Launch the casino card game on your mobile, desktop or tablet and enjoy! Before you initiate your gameplay of Hit Me! Baccarat, click on the chip values to select your stakes. After that, click then drag your chips to the position you would like to place your bet on at the table. To select another chip value, click on the “X” button. The “Clear All” button allows you to clear all bets you have placed. Amount of Paylines Selection: Not present. Coin Values: Chip values range from £1, £2, £5, £10 to £25.